When it comes to finishing touches, this Charter oversized photo album has just the right amount to create a truly elegant display. 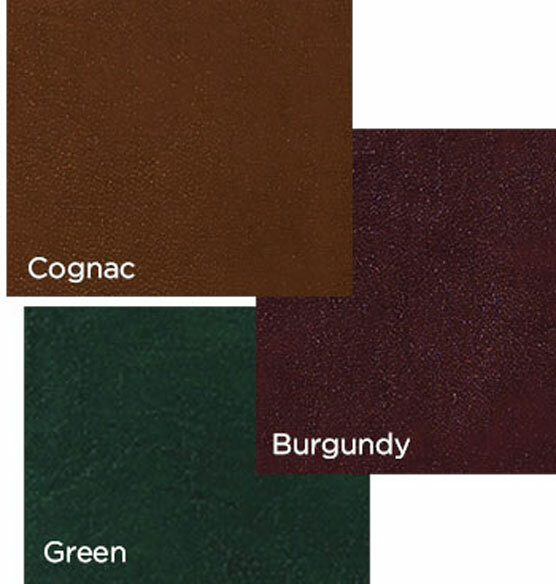 This bonded leather album features fine-quality stitching around the edges in a complementary color and raised spine detailing that stands out when placed on a shelf. Give it even more of a distinctive touch with the addition of unique text on the front cover. You can add up to three custom lines. 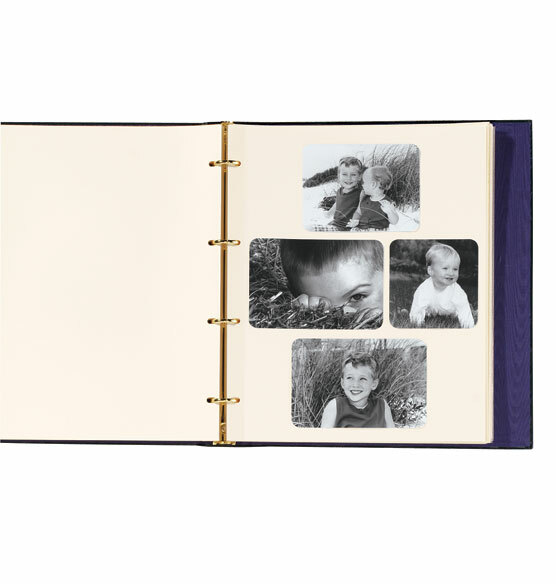 Four binder rings hold up to 40 pages of quality photo album paper, giving you complete control over how pages are arranged. Comes in several classic color hues. When I ordered the Charter Oversized Album I assumed the album would include a minimum number of pages. A photo album isn't an album without pages; without pages it's an album cover. Dumb me, I assumed wrong... pages were not included. Fortunately after receiving the album, which appears to be nice quality, I had enough time to go through the entire order process a second time to order pages. I also learned the second time around that the internet is filled with discount coupons for the Exposures site. Don't forget to investigate and secure a promotional code before placing your order. Can you feel my frustration? The retail world has become one gigantic cafeteria... nothing is sold complete... everything has at least one add-on. Life didn't used to be this complicated! For my husband's 60th birthday, I asked friends and family members to send their favorite memories. Some were with pictures, some were drawings, most were letters alone. This was the perfect album to compile all these treasures for the big day! I have used several of these for my grandchildren's photos. They will cherish them through the years as my children did. I use these albums for our Vacation Photos. 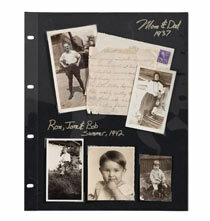 The personalization is very useful and the albums can hold plenty of photos and other memorabilia from the trip. Use these albums for all of my grandchildren and love them. in this digital age, it is important to have a keepsake photo album. I have several for each of my grandchildren. very attractive and fine quality. these will be cherished family heirlooms one day. the kids love to look at them now and see themselves as babies, etc. i'd like to have 3 lines of text, but only 2 are available to edit.... any suggestions? BEST ANSWER: Thank you for your question. 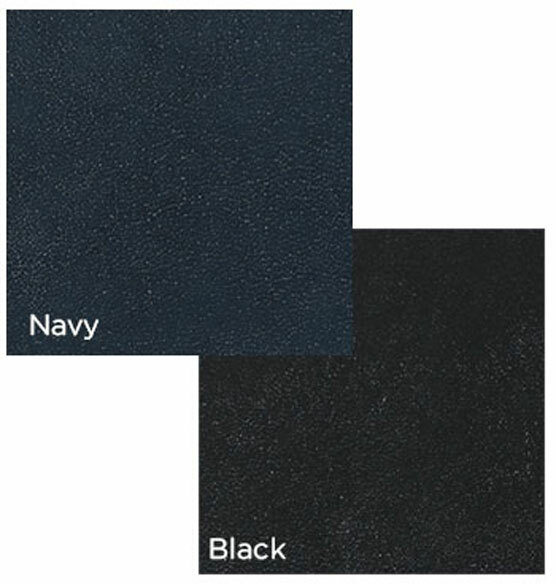 This item is available with up to three lines of personalization. You must choose "3 lines of personalization" form the drop down box. We hope this information will be of help to you. How wide is the spine on this photo album? i need something with a 2 inch bind. BEST ANSWER: Thank you for your question. The spine is only about 1 3/4" as the rings are 1" wide. We hope this information will be of help to you. I have two of these beautiful albums. The spine is 1 and 3/4 inches. BEST ANSWER: Thank you for your question. The Charter Album is 13" wide by 14 1/2" high. We hope this information will be of help to you. The free pages are 12 X 12 and have 3 holes. That is not the size of this album. Does this work? BEST ANSWER: I do not think so. The album has 4 rings, not 3. It is confusing because they have changed the "name" over the 4 years I have bought this album. 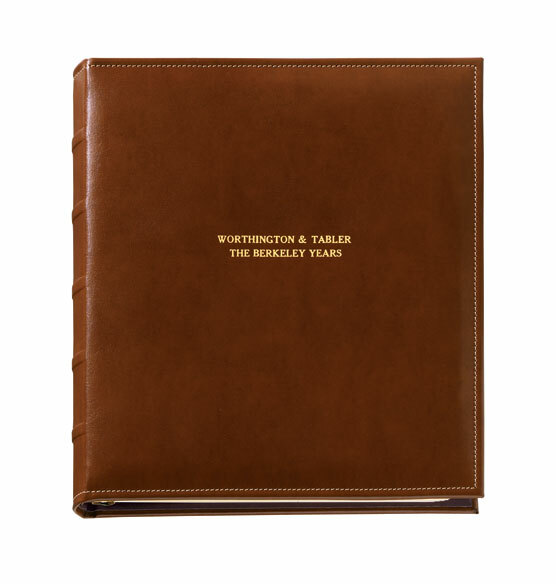 All of my invoices calls it "Charter Oversized Album with Personalization", item 327506. That no. now pulls up "Charter large personalized Photo album". My albums are 13"w x 14 1/2" high. I use page 309385 which allows placing pics of all sizes and orientation (horiz or vertical). I love this product but do not think the free pages they are now offering will work. I'd call and talk to someone about substituting. Feel free to get back with me. Thank you for your question. 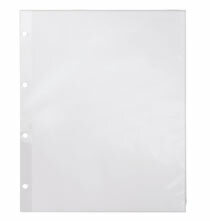 The pages needed for the Charter large Photo Album needs to be a 4 ring. 3 ring pages will not work for this album. The correct size pages need to be around 14" h x 11 9/16" w. We hope this information will be of help to you. Can't help you. I order my own pages from exposures and haven't used the free ones. 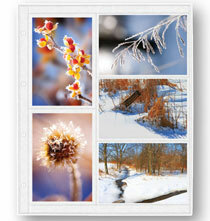 Do you sell 5"x7" photo pages for this album? BEST ANSWER: Thank you for your question. 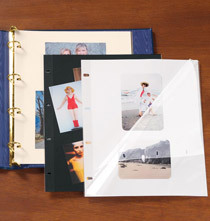 We do not sell 5x7 pocket photo pages for 4 rings. We apologize for any inconvenience. where is the spine patch for the cognac charter album? BEST ANSWER: Thank you for your question. Unfortunately we do not carry the charter spine patches. We hope this information will be of help to you.